Dr. Dave Buck, D.C. provides a unique approach to natural chiropractic care. He has been in private practice as a Chiropractor for over 25 years. His mastery level of understanding the spine, nervous system and the body-mind complex allows him the skill necessary to assist people in their quest for greater health and well-being. Dr. Buck graduated from Palmer College of Chiropractic in 1988. He has continued his educational studies to include Network Spinal Analysis, and has completed all 3 levels of certification as practitioner of Network Spinal Analysis. 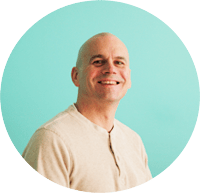 He currently has state licenses in both Illinois and Wisconsin and is also an active member of the Association of Reorganizational Healing Practitioners.